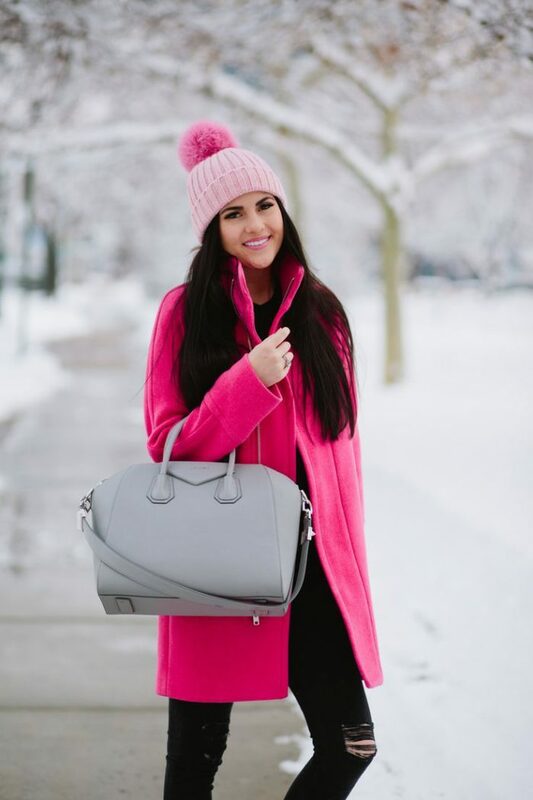 The first piece that popped into my mind is the blush pink coat. 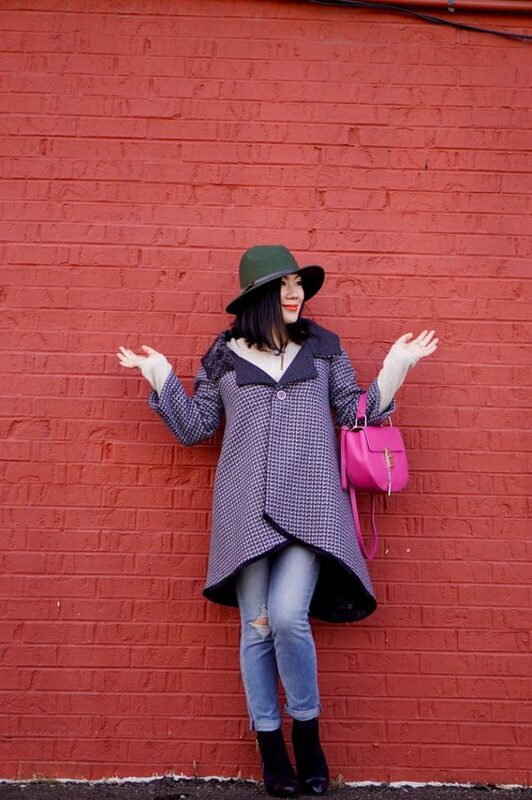 This marvelous tailored outerwear garment can be styled with your favorite work staples. Try it on with pencil skirts, black tops, black tights and classy shoes. 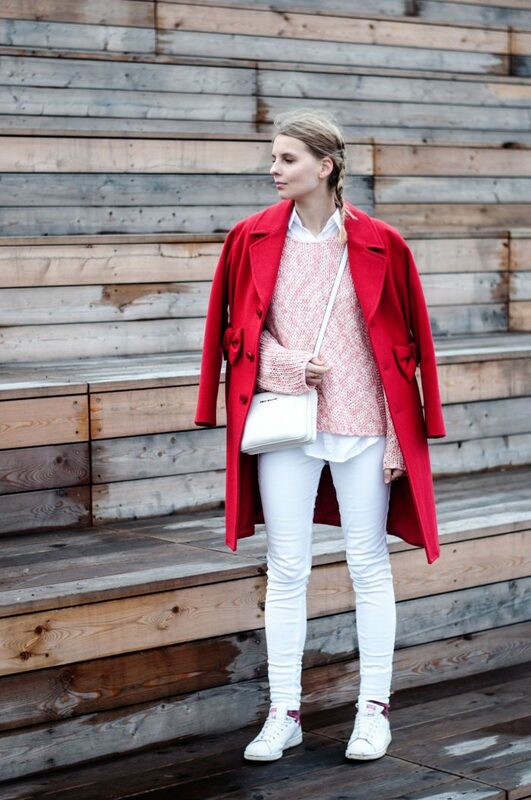 If you are in search of something casual and urban-looking, then how about wearing a fur coat? 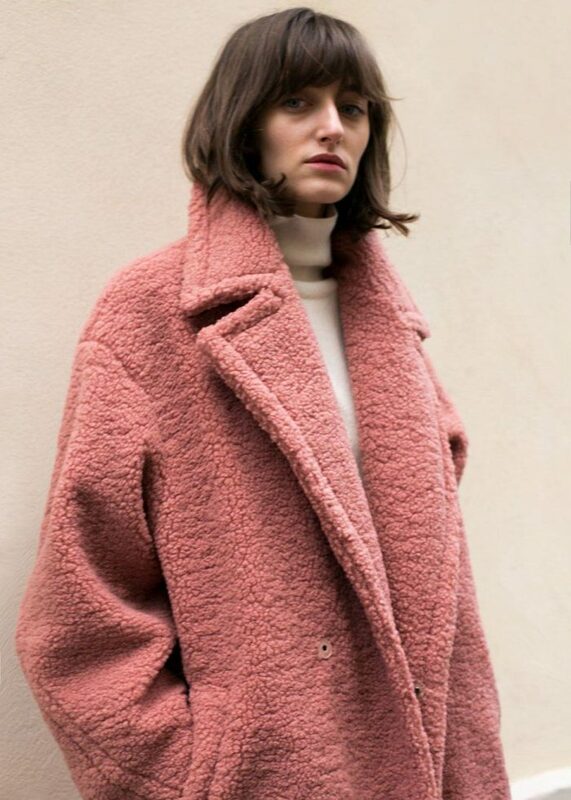 This big outerwear piece can be paired with crispy white very long sweaters, black leggings and fun looking Uggs. 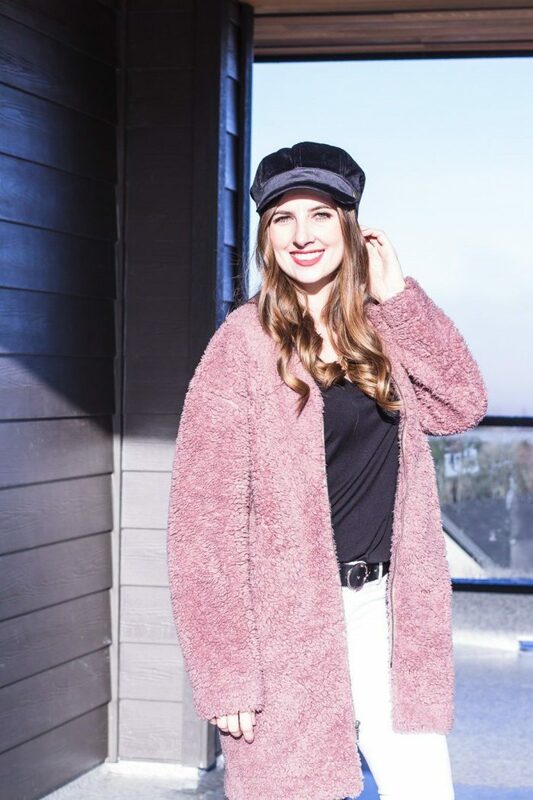 Speaking of knits, then I recommend to try on blush knitted sweater with a high neck that can be styled with elegant essentials, like skinny jeans, chevron print tailored coat and wide-brim fedora hats. 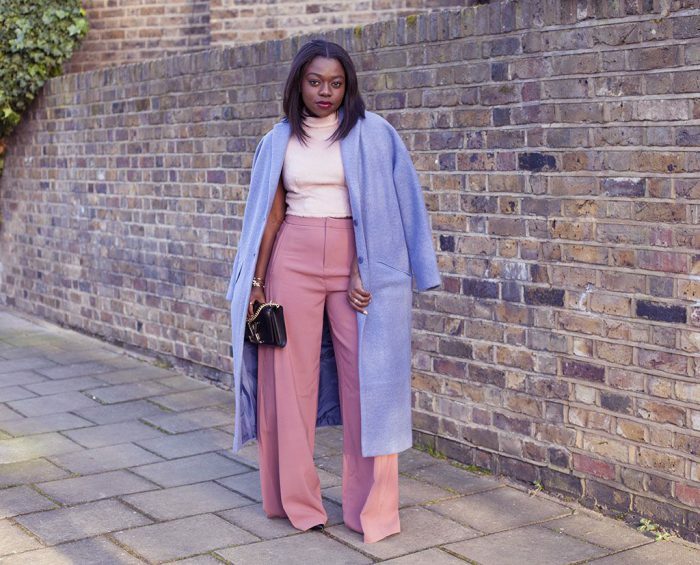 Make a real statement on the streets wearing girlish pastel pink skinny jeans. These pants gonna look terrific with lace white top and chambray light blue shirt. 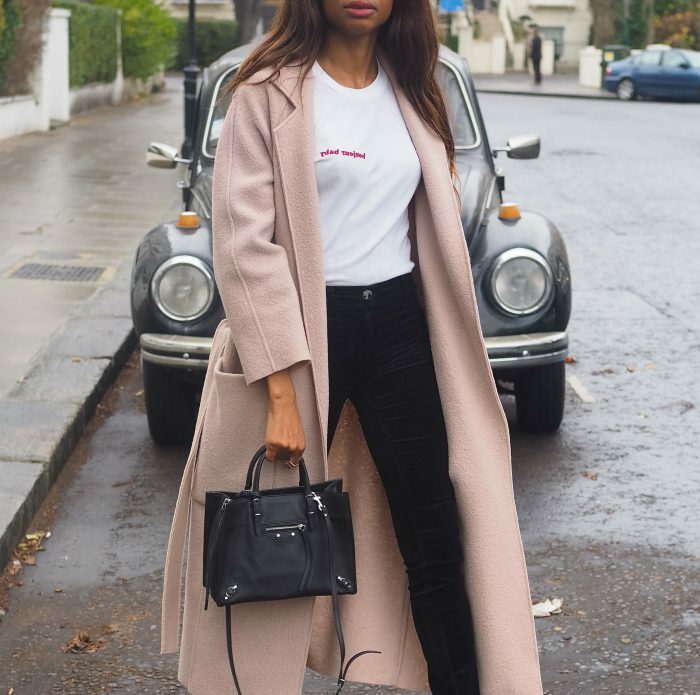 If you look for retro-inspired combos, then how about wearing a knitted blush coat that can be styled with black polka dot white blouses tucked in a black skirt and completed with over-the-knee white socks tucked in white ankle-boots. 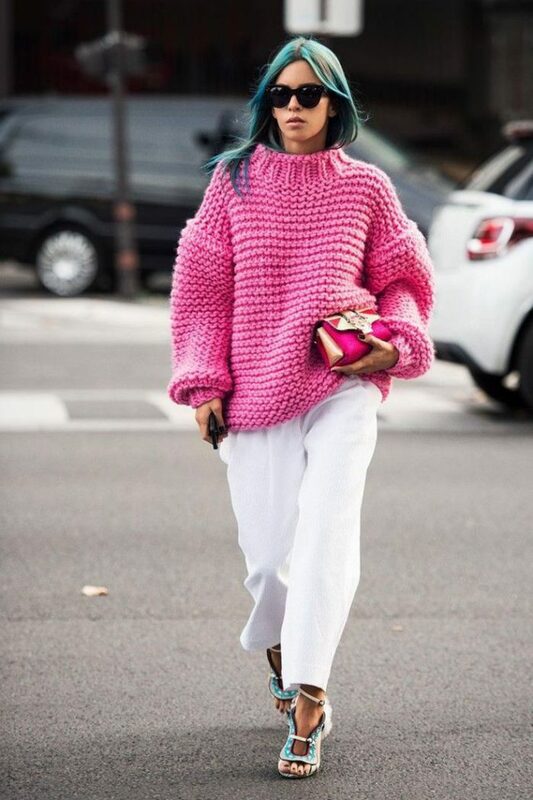 How about creating a retro look with thanks to pastel pink dress? 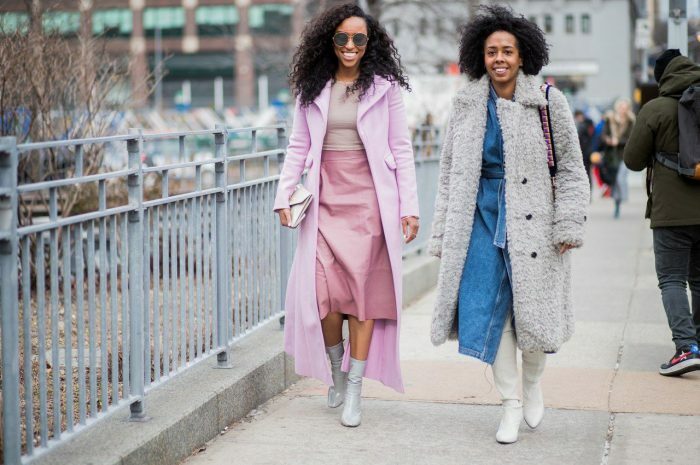 All you need is a vintage style frock in the blush color. 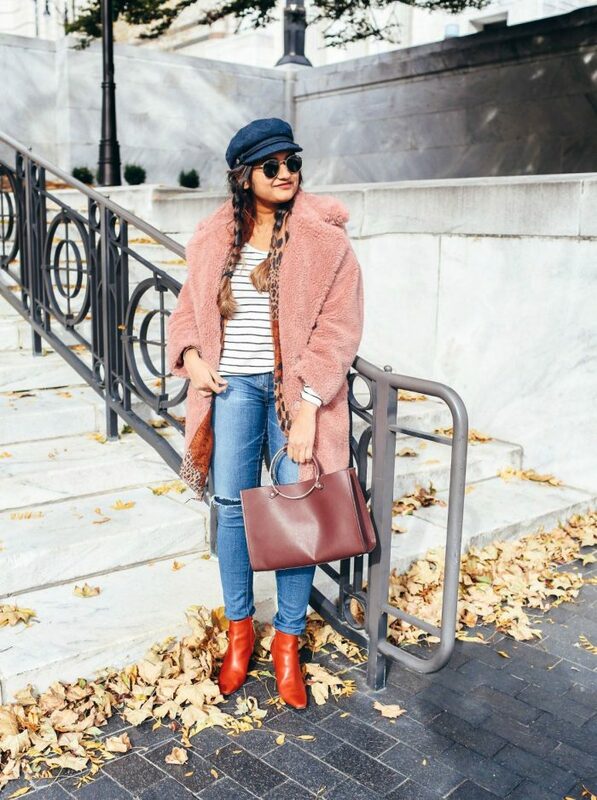 You can complete this look by adding opaque black tights, black leather ankle boots, and a wide-brim hat. 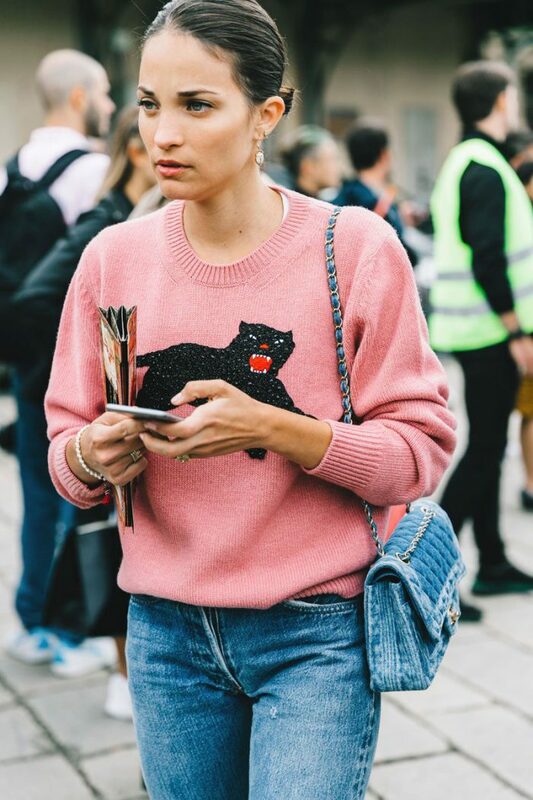 If you are not feeling wearing blush garments, then you can start with accessories. 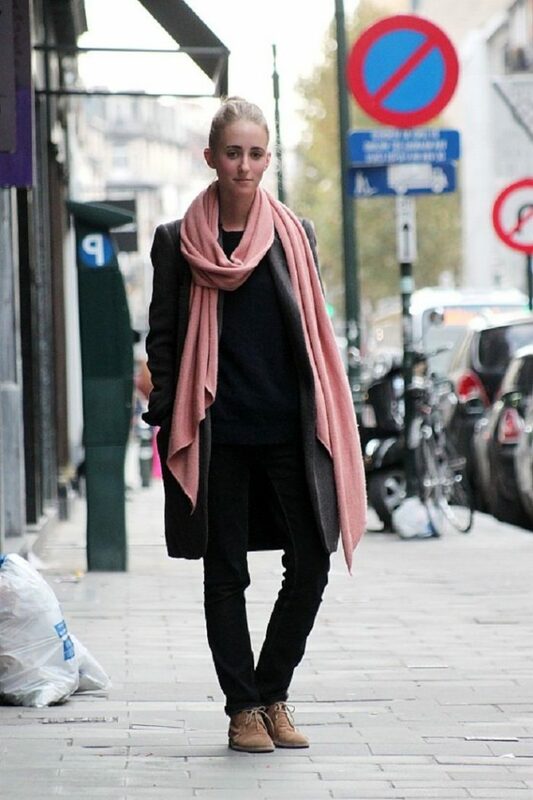 Brighten up your black colored look with a sweet-looking pastel pink long scarf. 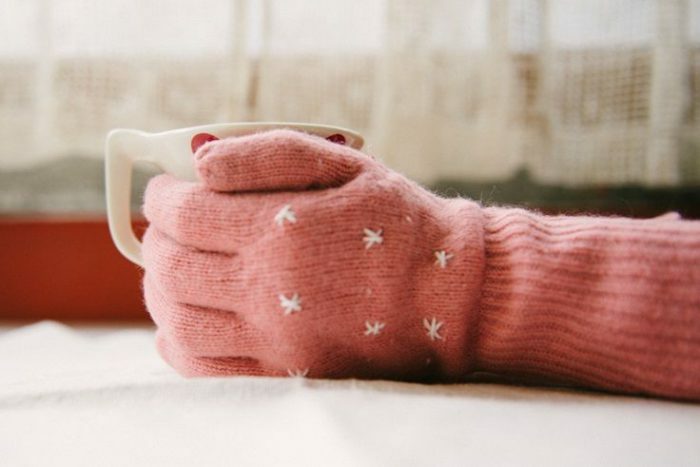 How about making things look boho-inspired? 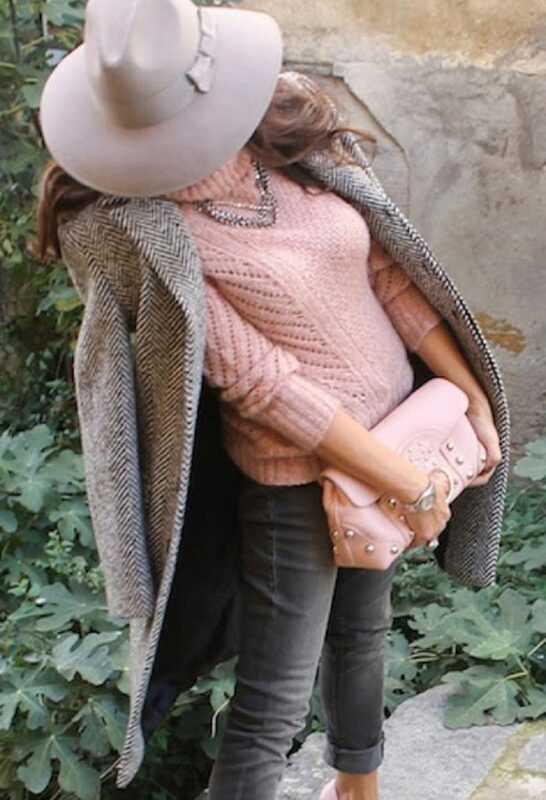 Try on wide-brim pastel pink hat and style it with a loose-knit cream-grey sweater. 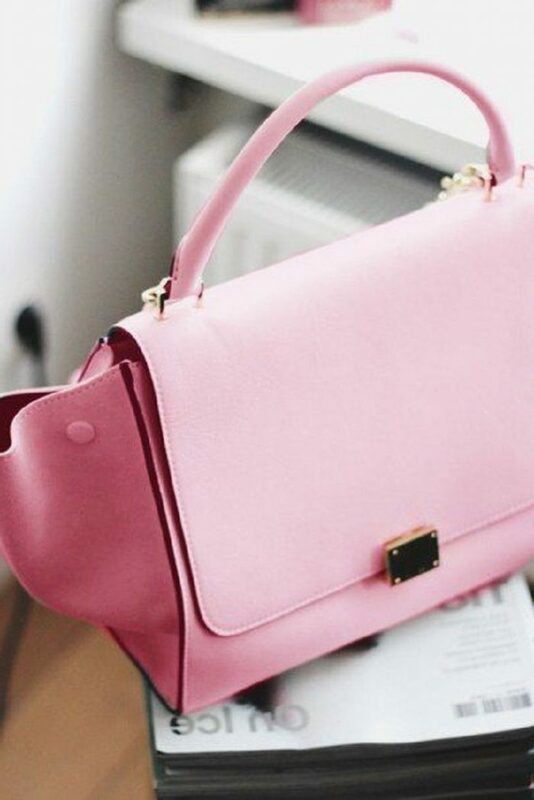 If you want to underline your femininity, then the best way is to wear a blush colored purse.